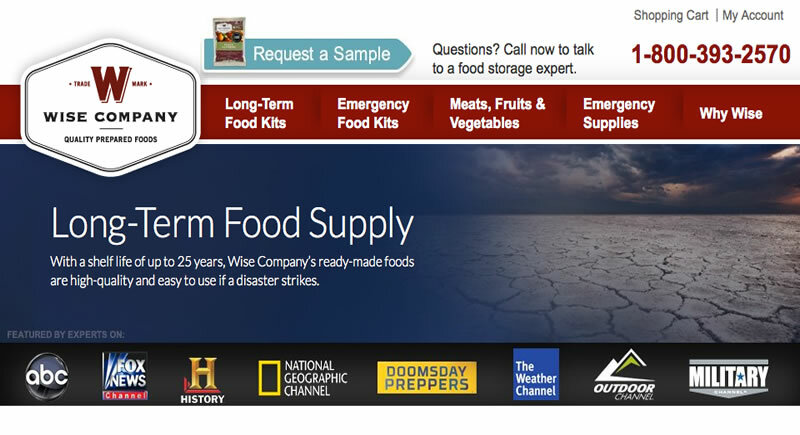 Delivering Legacy brand food storage products, BuyEmergencyFoods.com focuses on emergency food items for the disaster preparedness, survivalist and outdoor living shopper. The company offers fuel, water storage and survival kits in addition to emergency food. The food the company sells consistently ranks as among the best tasting in the competitive long-term storage and emergency food supplier industries Dairy products, dried honey powder, parboiled rice and freeze-dried meats are offered with a 25+ year shelf life. Those items are delivered in double thickness mylar pouches which have been resealed in waterproof BPA free stackable buckets. Every pouch includes an oxygen absorber to maximize shelf life, and has been flushed of nitrogen as well. All of the company's products are free of genetic modifications. 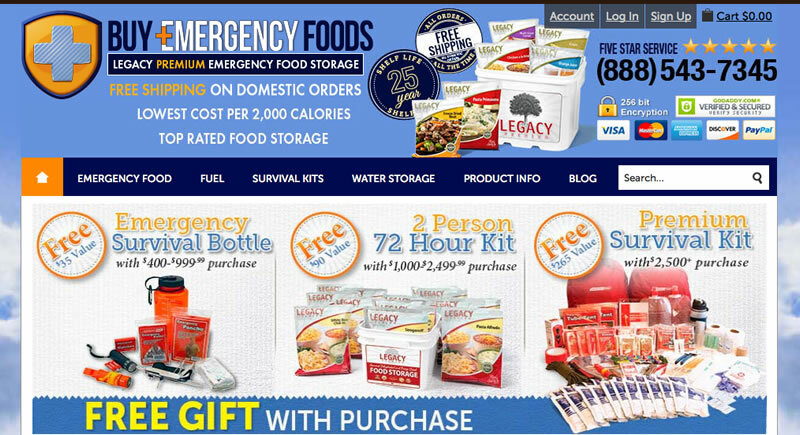 Buy Emergency Foods is considered one of the leading emergency food suppliers online. Buy Emergency Foods was founded in 2011 in Salt Lake City, Utah, and offers a very wide variety of freeze-dried and dehydrated food products. Most Internet emergency food companies stick to food only. However, this company also offers Fuel, Survival Kits and Water Storage sections on its website. One really nice benefit you receive that the company’s competition does not usually offer is free shipping on all orders, all the time. Another innovative strategy involves free gifts when you buy many products, rewarding you with disaster preparedness emergency items that complement your main purchase. 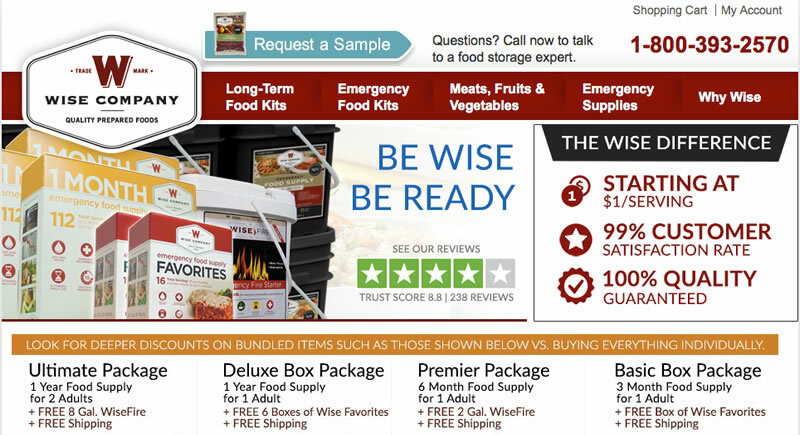 The company also delivers a free Food Storage Buyer’s Guide, bulk discounts and a guarantee of the lowest online price per calorie. Ordering is available both online and via a toll-free telephone number. Their emergency food products are categorized by storage type and other individual characteristics. The subsections here include All Food Storage, Meal Packages, Single Buckets, Samples, Gluten-Free, Bulk Ingredients, and Pet Food. You can shop this subsection by Entrées, Breakfast, Freeze-Dried Meats, Side Dishes, Drinks and Meal Replacement Shakes. Bulk items are further sub-categorized as Proteins, Fruits, Dairy, Vegetables, Grains and Specialty Items. Serving sizes range from 60 to 4,320 serving packages. Legacy Foods conducted a blind quality taste test, comparing their offerings against other well-known competitors in the emergency food marketplace. 4 out of 5, a very impressive 80%, of all tasters voted the Legacy Foods offered through Buy Emergency Foods as the best tasting. Since the company guarantees the lowest per calorie price among all emergency food suppliers online (judging on a 2,000 calorie basis), the value is as good as you will find anywhere. The company has a standing offer of free shipping on all orders, all the time. It may not really be considered an offer, but prepper and survivalist forum members have mentioned they really like the fact that there are gluten-free options, larger serving sizes, and the fact that products are made entirely in the United States. A free Food Buyer’s Guide is downloadable from the official website.